Neometals is advancing towards becoming a lithium chemical producer. The aim is to develop a closed loop lithium ecosystem with access to the lithium raw material source, value adding for supply to the battery supply chain and ultimately, recycling of used battery materials and spent batteries. Neometals is developing a lithium refinery with a nominal capacity of 10,000tpa lithium carbonate equivalent (“LCE”) and production scheduled from mid-2021 (subject to the Board making a final project investment decision in mid-2019). 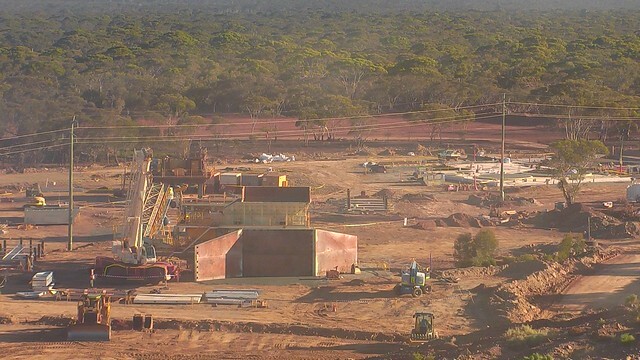 It calls the project the Kalgoorlie Lithium Refinery (“KLR”). The lithium refinery will produce high purity lithium chemicals, by converting spodumene concentrates, that will be supplied to the Lithium Ion battery manufacturing supply chain. The Company’s strategy is to increase the value of the lithium in the spodumene concentrates supplied under the Company’s Mt Marion spodumene concentrate offtake option (“Offtake Option”). The Offtake Option will provide a secure and reliable source of the raw material needed for conversion into battery grade lithium hydroxide and lithium carbonate. Neometals has selected a site for the KLR after completing extensive site selection studies to determine a suitable location. It concluded that the Kalgoorlie area offers the best combination of logistic and cost solution for conversion of bulk spodumene concentrates. The Company has executed an option agreement with the City of Kalgoorlie-Boulder (“CKB”) over a sub-lease for a 40-hectare refinery site near the township. The site is only 70km by major highway from Mt Marion Mine, adjacent to the Kalgoorlie rail terminal for efficient despatch of product and has nearby access to reticulated power and gas supply. This is the shortest practical concentrate transport distance and reduces operating cost of KLR by minimising transport costs for the concentrates as well as back haul costs for residue disposal. The location will minimise the project’s environmental footprint and improves the competitive position of the operation against competing conversion plants in China. The site option agreement provides Neometals with a two-year option (with provision for an additional two-year extension) and a low cost reclaimed industrial water supply. During this time Neometals will complete FEED and Definitive Feasibility studies and advance its formal partner, funding and offtake selection process. Chris Reed, chief executive of Neometals Ltd (ASX:NMT), discusses with Proactive's Andrew Scott their decision to enter into an option agreement to sub-lease a 40-hectare site in Kalgoorlie for a proposed lithium hydroxide refinery. Option agreement executed with City of Kalgoorlie-Boulder for sub-lease of site for Neometals lithium hydroxide refinery. Proposed 40 hectare location is only 70km from the existing Mt Marion Lithium Operations, 5km from Kalgoorlie township and adjacent to critical infrastructure. Kalgoorlie lithium hydroxide reﬁnery is part of Neometals’ strategy to realise maximum value from its lithium feedstocks at a time of unprecedented global demand for battery raw materials and chemicals. FEED study for the reﬁnery is in progress, process testing completed. Engineering firm M+W Group has been awarded the contract to perform the FEED Study and deliver its report in Q4 2018. M+W successfully completed an Engineering Cost Study for Neometals in 2016. Vendor Testing by Veolia Water Technologies produced a 99.99% pure lithium hydroxide monohydrate, suitable for use by the lithium ion battery sector. The successful test work validated the proposed production process for the FEED Study. The project Feasibility Study will integrate the results of the FEED Study ahead of a potential project investment decision in Q1 2019. The proposed Kalgoorlie Lithium Hydroxide Plant is a key part of Neometals’ strategy to develop an integrated lithium business. Neometals Ltd (ASX: NMT) and Mineral Resources Limited (ASX: MIN) are pleased to announce the signing of a Memorandum of Understanding (MOU) to further progress the development of a downstream lithium chemical plant in the Eastern Goldfields of WA.